It’s probably no surprise that stripes are my favorite. They’re the perfect classic pattern and I can never get enough. 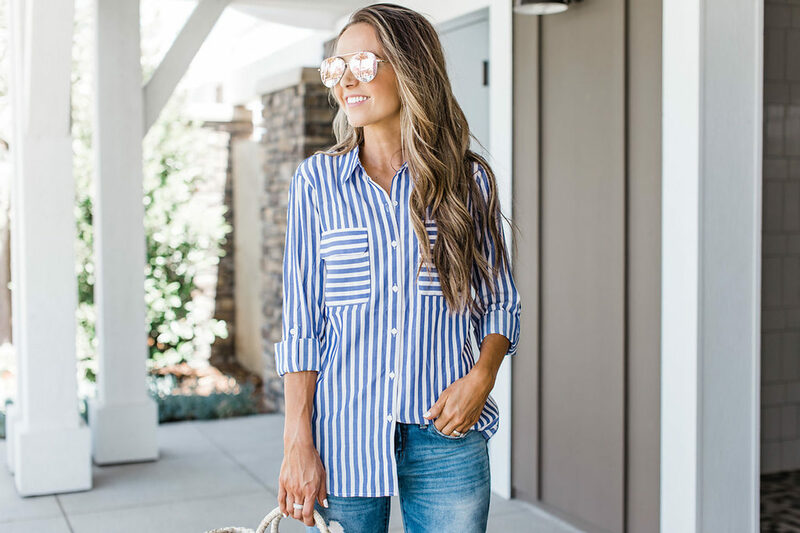 I found this pretty striped button down on sale and instantly fell in love with it. 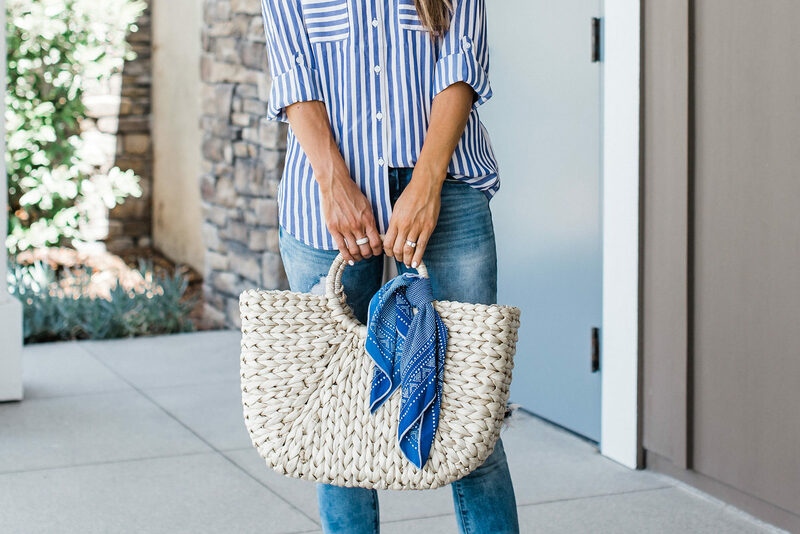 It’s lightweight, not sheer at all, and perfect to pair with shorts, boyfriend jeans, white denim, tucked into skirts — so many possibilities. 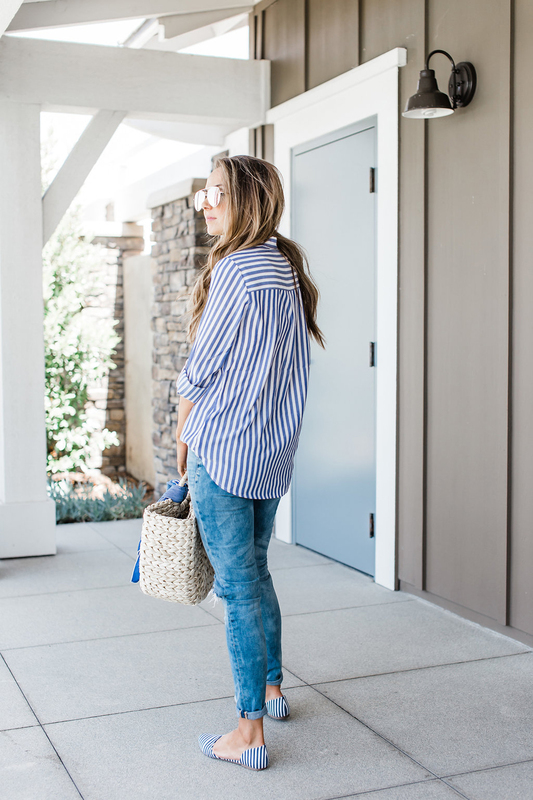 I paired it with my favorite boyfriend jeans and a pair of striped flats. 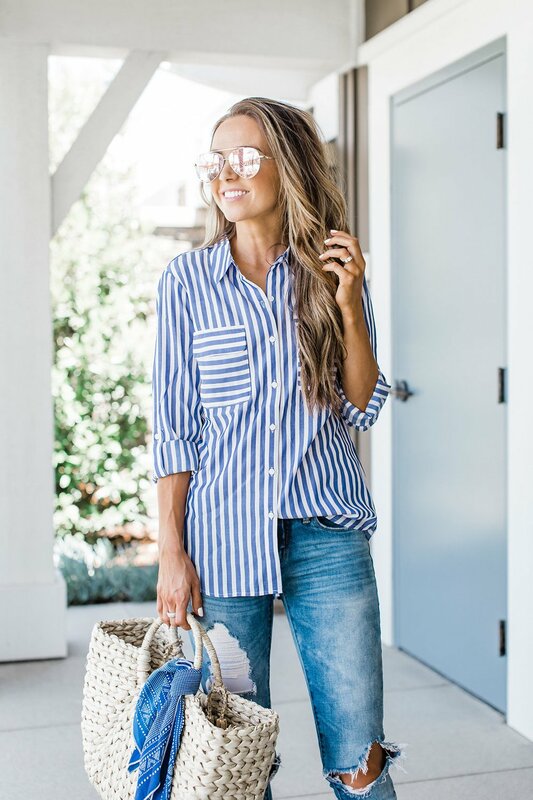 I think the key to wearing double stripes is to keep them in the same color family (mine are navy and cobalt), and choose stripes that are obviously different in size. It’s definitely a bold look, but I love how it looks! Think you’d try double stripes?? 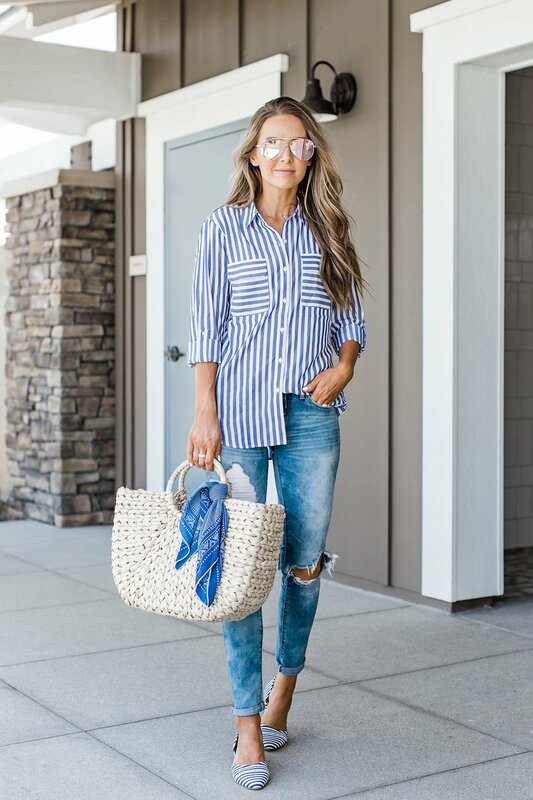 You’re looking so stylish and cute in this laid-back combo! I like your bag very much! Ruffle Yoke Summer Dress + A Giveaway!